Home / iOS devices / iPad / iPhone / iPod / Technology / iPad, iPhone, and iPod: Which One is Best for You? iPad, iPhone, and iPod: Which One is Best for You? 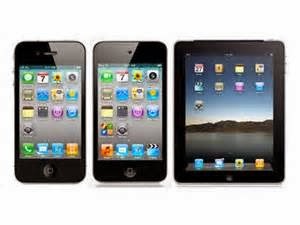 In terms of functions and features, the iPad, iPhone, and iPod have similarities and with little differences in between. Thus, it is quite amazing to see some people owning two or all of these gadgets instead of choosing only one. Here are five factors that will help you decide which one to have. If you happen to be a wise spender, the iPod is the most ideal gadget if you want to have a full Apple experience for less. It is smaller in size when compared with the iPad and it is not 3G compatible but these weaknesses will save you hundreds of dollars in terms of monthly bills. If you compare the prices, the iPod is around a few hundred dollars cheaper than an iPad. While the iPhone is a few dollars lesser than an iPod, the phone capability of an iPhone makes it more expensive when you factor monthly bills. iPod uses only Skype and other apps for phone capable functions. If you like to play games from time to time, the iPad makes the experience more visual due to the larger screen size. You have to take not only screen resolution into consideration but also the faster processor of an iPad. Most games are better played at a big screen with a high speed processor. The 3G or even 4G (some LTE) feature of the iPhone makes it an ideal social networking gadget and it seems that it will stay that way, as more improvements will be added for other functions in the future. 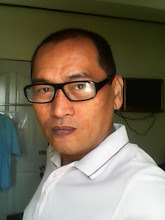 Unlike other iOS devices, the iPhone does not rely on Wi-Fi connection to connect online or most importantly with social media networks. So why worry about smaller keypads when you have all the time to compose text attachments to your latest photos to be posted on Instagram or Facebook? The iPad and iPhone are neck to neck when it comes to business matters. Do not mind the iPod; it is always just ideal for listening pleasure. The size and processor element makes the difference. The iPhone can offer the same features like email, contact saving, and other important Microsoft features but due to processor, the iPad is faster. The thing about having so much time and not wanting to get bored is that you need all gadget features within your finger tips. The iPod is an ideal item to kill the time with music. The iPad is perfect if you prefer games or will need to complete follow up reports in Excel and PowerPoint where a bigger screen benefits you the most. The same applies for the need to check your Facebook or Twitter accounts. This is the guilty pleasure in all of the factors listed above. Based on these features, you now have an idea what iOS gadget is best for you. You can still have all three if you wish to do so.